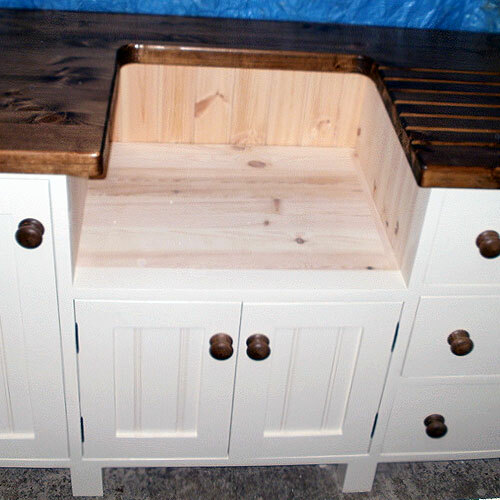 Description: Large Belfast Sink Unit to fit a 60cm sink with 2 door cupboard underneath. 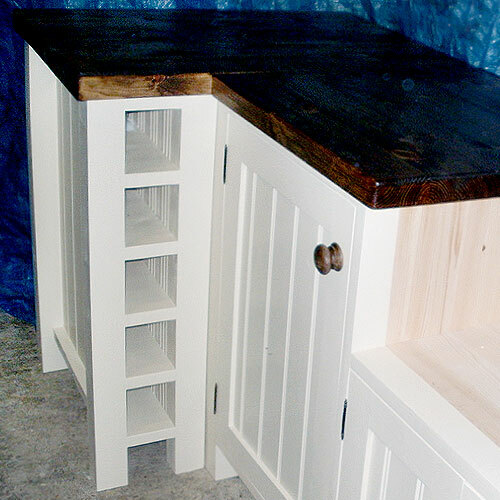 In addition, providing abundant storage within a large separate cupboard and drawers. Handy wine rack feature on corner return! 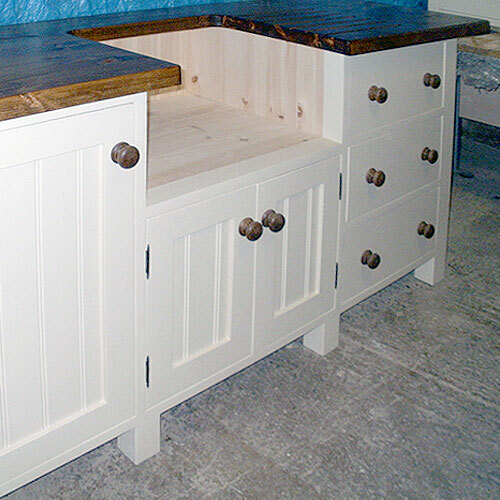 Complete with 40mm thick Pine worktop and wooden knobs as standard. Colour shown: Farrow and Ball- Cream #44. 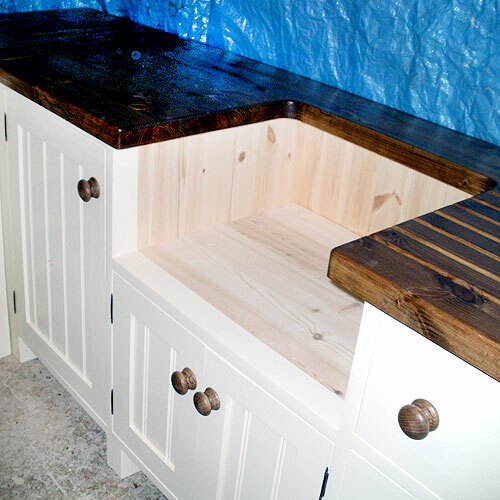 Worktops and knobs finished in a medium/dark stain.